Happy Friday Everyone!!! Today is my stop on the Between Heaven and Texas Blog Hop!! I am so happy to be part of this awesome hop and to share with you my block tutorial, Star Value. 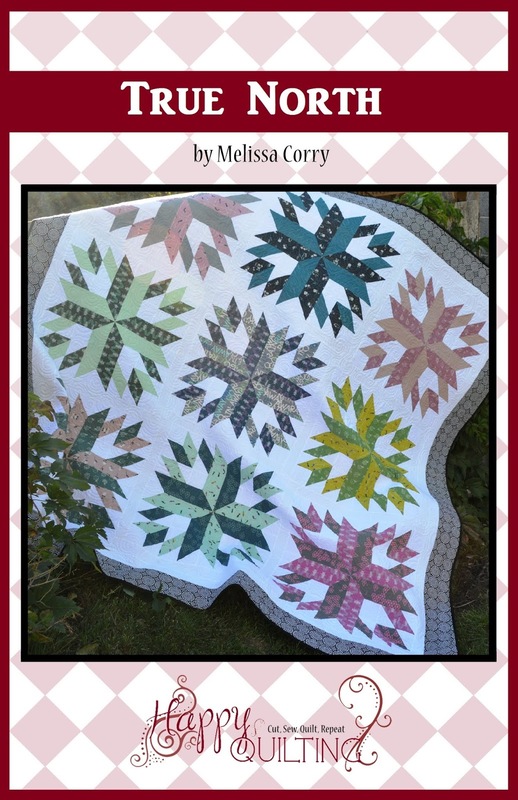 Star Value is a super fun block that is made with just squares and half square triangles. And with 5 size options it is sure to work for any project you have in mind :) Don't you just love the low volume scrappy background, and plenty of scrappy color pop! Star Value will have you pulling out your scrap bins and getting your scrap busting groove on!!! And to get an idea of how this block will look in a finished quilt . . . I drafted up a little EQ7 drawing. So fun, huh!!! My bee will be making this block for me this month and I can't wait to see all of those fabulous scrappy blocks. It is going to be amazing, I just know it!! So before I get all wound up over scrappy goodness, let me tell you a bit about Between Heaven and Texas. Between Heaven and Texas is the Prequel to Marie Bostwick's Cobbled Court Quilts series. I have not yet had an opportunity to read my copy, but my Mother-In-Law did and she found it thoroughly enjoyable!! Here's is what others are saying about it . . . Sounds fantastic, right!!! And stick with me to the end, because it just might be your lucky day to win your own copy of Between Heaven and Texas!!! Along with this blog hop, You can also help out others. How so?? Simple, just make an extra star block and donate it to the Linus Connection. 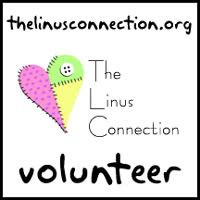 The Linus foundation is an organization based in Austin, TX whose mission is to make and deliver blankets to children in crisis situations in the Texas area. Contact Jennifer at sewhooked@gmail.com for more info or visit thelinusconnection.org. Alright, I promised you a Star Value tutorial so let's get to it!!! **To see a simplified PDF Printer Friendly Version of this Tutorial please go here forThe Star Value PDF it is available for Free Download!! First, you will need to decide what size block you would like to make!! The block shown is a 20" block. So once you are done cutting you should have piles that look something like this. As you can see, the scrappier the better!! The fun thing about this block is it only takes Half Square triangles and the squares you have already cut. So let's start by making some Half Square Triangles. Match your blocks cut for Half Square Triangles into the following sets - 8 matching color/white sets, 8 grey/white sets, and 4 any color/grey sets. Hint - to save time be sure and repeat each of the sub-steps in an assembly line fashion. On the wrong side of the darker fabric using your ruler, draw a pen line diagonally from the top left corner to the bottom right corner. And remember, you are doing these assembly line so go ahead and chain stitch all the sets on the right hand side of the line, and then go back and do all the sets on the left hand side. Clip your threads and then align your ruler along the drawn center line. Cut your pieces apart along that drawn line. Now press towards your darker fabric. I will use the 3" trim for the example. Start by aligning the 45 degree line on your square ruler with the seam line on your half square triangle. Make sure that the raw edges of the half square triangle are over the 3" line's on your ruler. Trim the 2 sides along the edge of the ruler. Now spin your block 180 degrees. Once again, align the 45 degree line on your ruler with the seam line on your half square triangle. Align the raw edges of the half square triangle under the ruler on the 3" lines on your ruler. Trim the 2 sides along the edge of the ruler. And now you have Perfect Half Square Triangles. They take a bit to trim but are totally worth it for perfect points!! You should have 40 Half Square Triangles total. And now you are ready to start assembling your block!! Note - It's easy to get turned around with this block so I find it is always easiest to lay each step out so things don't get turned around. (And even with that, I still unpicked a seam or 2 :) Start by laying out 4 sets of color/white HST's with the matching color squares and 4 white color squares as follows. And now you should have 4 quadrants of 4 pieced squares. 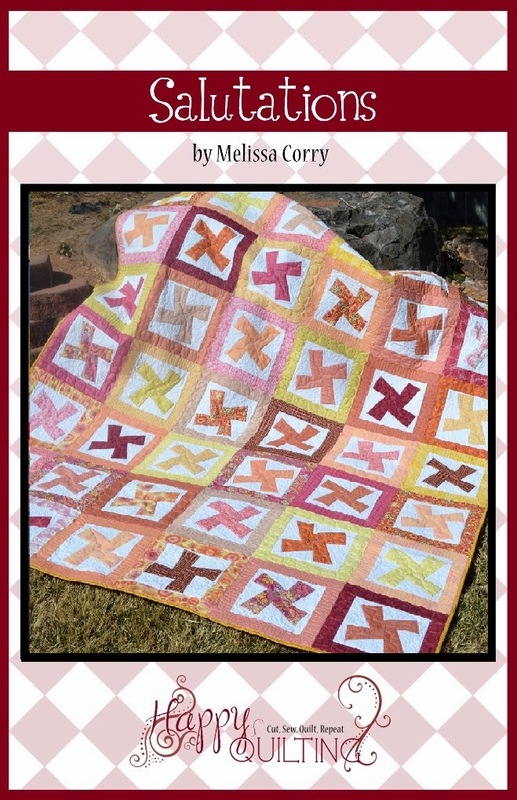 And now you can sew those 4 quadrants together. Place the left hand blocks onto the right hand blocks with right sides together. Once again, nest the center seam and pin in place. Sew a 1/4" seam along pinned edge. Press your seams open. Now just place the top row onto the bottom, and be sure to align and pin each seam in place. Sew a 1/4" seam along the pinned edge and then press the seam open. And your center star is complete!! Set this aside for the moment. And now, you are ready to do the diamond points. This is the exact same process as before of making quadrants into blocks. And note - You will be making 4 of these so assembly line fashion again will save you time. For each set gather up 4 grey/white HST's and 2 Grey/color HST's and lay them out as follows. This time I placed the the second square in each row onto the first square and the fourth square onto the thrird squares with right sides together and sewed a 1/4" seam along all the edges. (it's fun to mix it up a bit). Press the seams of each quadrant in opposite directions. Then place the top row in each of the 2 quadrants onto the bottom row and nest and pin the center seam and sew a 1/4" seam along the pinned edge. Press the seams open. Place the right hand blocks onto the left hand block with right sides together. Once again, nest the center seam and pin in place. Sew a 1/4" seam along pinned edge. Press your seams open. Remember to make a total of 4 of these units. And all you have left is the corners. And by now, you are a pro at sewing these little quadrants together!! Gather your remaining 4 Colored Squares, 8 matching colored/white HST's and 4 white squares and lay them out into 4 sets as follows. Sew the quadrants together just like before, sewing the squares into rows first, pressing in opposite directions, and then sewing the top and bottom row together and pressing the seam open. As always, use a 1/4" seam and be sure to nest your seams. And then you have 4 fantastic corner blocks! Which means, you are ready to sew the entire block together!!! Lay your pieces out as follows. Place the right hand blocks in each row onto the center blocks with right sides together. Align your seams and pin in place. Repeat for the left hand blocks as well. Sew a 1/4" seam along all the pinned edges. Press the seams open. And you should now have 3 fantastic rows. Only 2 more seams to go!! Place the top row onto the center row with right sides together and once again align and pin each seam. Repeat for the bottom row onto the center row as well. Sew a 1/4" seam along each of the pinned edges. Press the seams open. Now just sit back and enjoy your fantastic Star Value block!!! I hope you have enjoyed this tutorial!!! I really had so much fun designing and creating it and hope you will as well!!! If you do create a Star Value block I would love to see it . 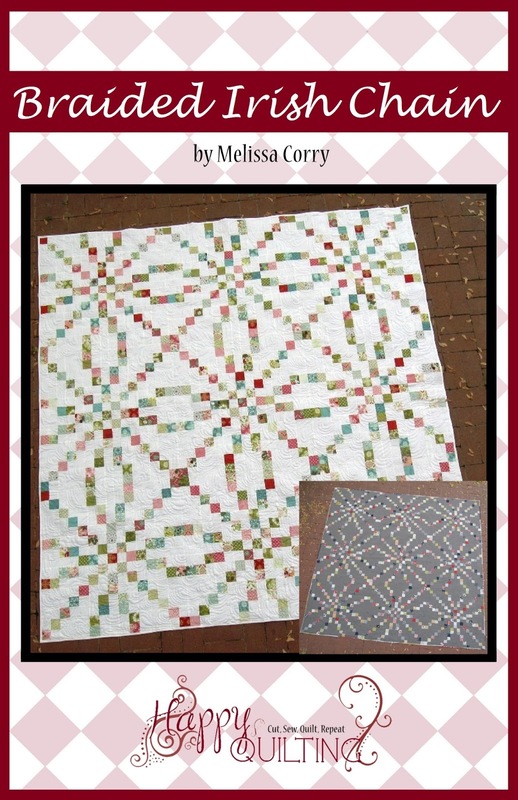 . . Just add it to my Inspired by Happy Quilting Flickr Group or email me a picture at happyquiltingmelissa@gmail.com or share on social media with #happyquiltingwithmc. I can't wait to check it out!! And just so you can see what it looks like in a repeat . . . here is the finished quilt!!! This is a 3 x 4 layout, so only 12 blocks of the 20" size which makes a great lap quilt at 60" x 80" ;) So let's get to some serious scrap busting!!! And never fear, I haven't forgotten today's giveaway!!! 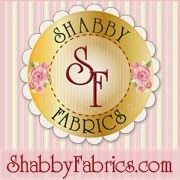 I will send that lucky winner their choice of 3 of my patterns!! 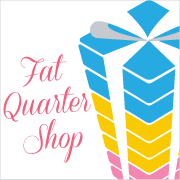 Oh, and by the way, if you are visiting Happy Quilting for the first time, Welcome!! I hope you will stay a while and check things out. I have lots of fun tutorials and a Celebrate Mom event starting next week with lots of fabulous guest bloggers and giveaways!! Ohh, number 1! My favorite color is fuschia! Great block! Nice blog, new to me and fun to check out further. Oh, color choice..I love blue! I have since 5th grade when everything I wore was blue. A great Block for a Babyqiult. I will start today. As always... my favorite color is blue. I love your star block. What a great pattern. I love the color purple right now. But orange is in there. Love the block! Orange is the color that seems to work its way into all of my projects. I love your block Melissa. Thanks for sharing it with us. Oh, and my favourite colour is red! Beautiful block. Enjoyed it. My favorite color is green a yellows..thanks for sharing. My favourite colour is green! I like blue or black. Thank you for sharing your block with us. I love the layout. An excellent tutorial. This is one block I shall make soon. I love yellow colour and like the yellow/green, yellow/purple combo very much. I love yellow, especially when combined with aqua and lime green. 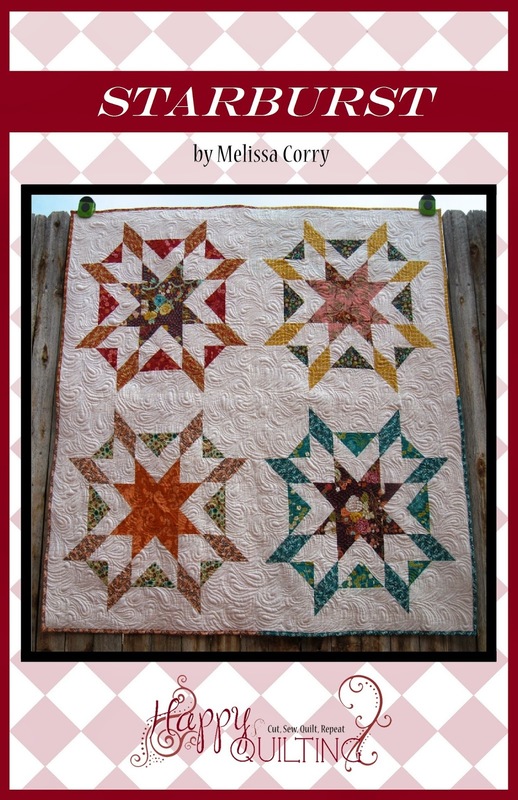 Great star block -- I need to make a bunch of them to use up some scraps! I love this block! I have lots of scrappy bits already cut into 2" and 3.5" so I think I might be good to go! My favourite colour is blue - at the moment I love aqua blue the most! I really like this block. I can't pick a favorite color. My favourite colour range is aqua through to turquoise. Your star block is lovely. I am sure I will be making it some day. Love, love, love your block! The scrappiness and colors are amazing! My current fav, can't get enough of it in clothes or fabrics or anything else---is a kind of apple green. Thanks for the picture tutorial! My favorite color is robin's egg blue. I just love bright colors!purple, pink, yellow green, I love it all! Hope I wina copy of the book. It looks great! Hmm Color - love all colors - but I think I would start with pink! I love blues and creams together. Thanks for the opportunity to win! My favorite color is blue. I use a lot so it must be. Thanks for sharing. 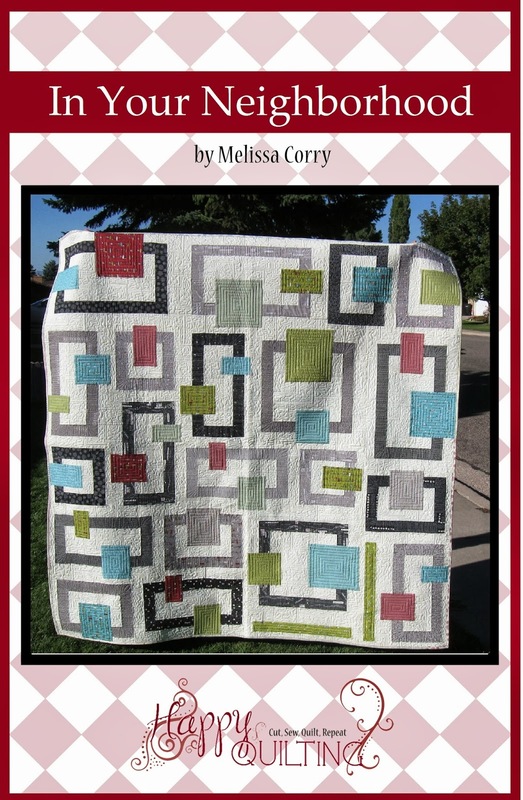 I love the whole quilt layout and the info for all the different size blocks. thanks for sharing. My favorite is gray - always has been... always will be! Ummm my favourite colour is ... Bright! I love blue! I also love that you include different size blocks in youe tutorials. The math is already done and there are so many options! Thank you for sharing the tutorial! I love your block. My favourite colour is turquoise. Have a super Friday! Gorgeous block. Thanks for the tut. You always make it look so easy. My favourite colour is blue and all of it's variations. Thanks for sharing and for the opportunity on the draw. I love, love, love this block. I have many 2.5" and 2" squares already cut and think I'll make one today! My favorite color is green, and you can tell that just by looking at my fabric stash! Green is my favorite color. The book looks like a good read! THanks. My fav it is blue/ orange.. I GOT MODERN PATCHWORK AND YOUR SUPER CUTE...... IT WAS FUN SEEING SOME OF THE PICS AND INSIDE MY GOODNESS THE BEAUTIFUL QUILTS AND ALL THE INSTRUCTIONS.. I think I relate putting faces with Guilts and Patterns, Although I cant read patterns to well. but where I lack in hine site I make up in creativity. I will make your block and share it ... I dont have scraps but some cute FQS to cute. CONGRATS FROM TEXAS.. I love Orange and Black as that is the color of my Oklahoma State Cowboys! 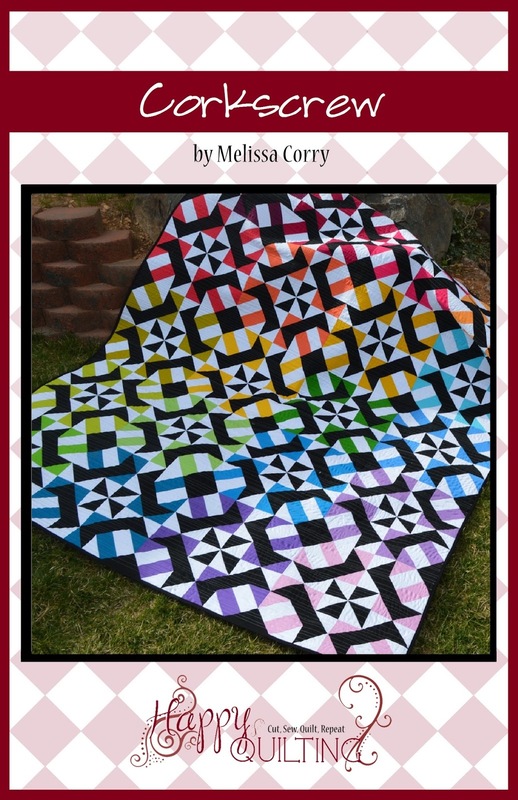 But, I have seen some quilts in the black, white, yellow color scheme and they are so beautiful! Thanks for the great tutorial and the fantastic give-a-way! What a great block, Melissa! I love the design. My favorite color has always been purple, but it isn't one of my favs to use in quilts for some reason. Another favorite is teal. I can't help sneaking green into almost every quilt. 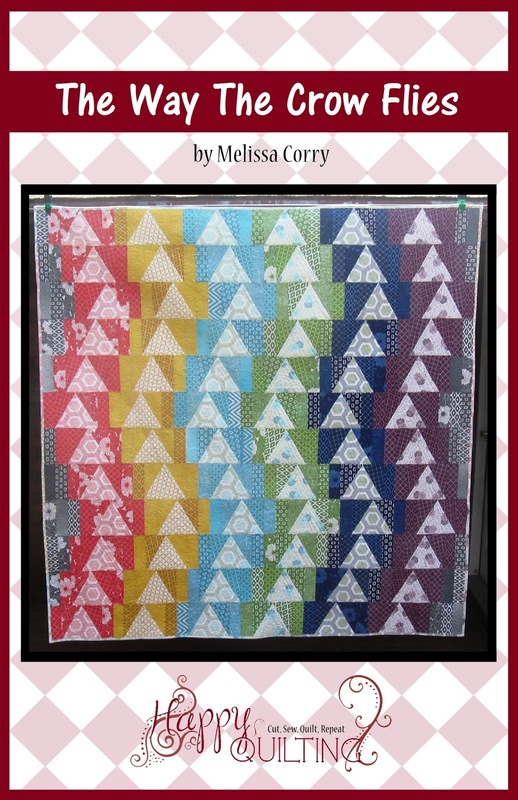 I used one of Marie's patterns to make a block for the Quilts for Boston effort by the Boston Modern Quilt Guild to provide quilts for victims of the Marathon bombing. Thank you. Fun pattern, Melissa. Favorite color... I really love sewing with aqua. It's just so soothing. Love the star pattern! Would like to see it in shades of my favorite PURPLE! Love this star pattern! Thanks for giving the measurements for multiple sizes. My favorite color is purple. Blue is my fave - aqua, periwinkle, navy... I could go on and on! Pink is my favorite color but I also like all the jewel tones. Love your star pattern and have downloaded it so will try it soon. Oh, Girl! You knocked it out of the park with this one - it's gorgeous! Thank you too for working up the numbers for the various sizes - very generous and sweet of you! This DOES look like the perfect scrap buster, and feel the urge to sweep everything off of the sewing table and pull scraps! I love Marie's books and am looking forward to this newest one. Thank you for the lovely giveaway...and the great block tutorial! Favorite color? Yikes! I'm a scrappy kind of girl so everything goes! Thanks for the chance to win. My favorite color is blue of any kind. Congratulations on your book and block. Thanks for the tutorial, too! 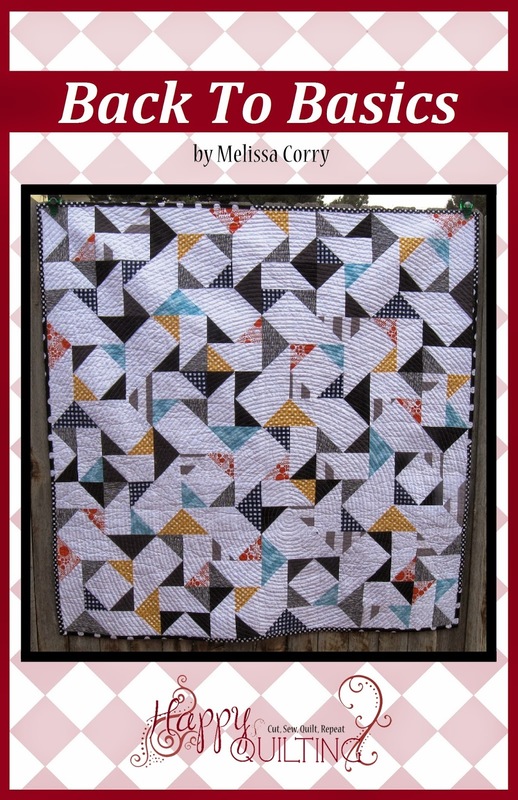 Love your block Melissa! Scrappy is my favorite way to quilt, so this one will be getting some love from me real soon :*) My favorite color combo right now is aqua and lime green with a little gray thrown in - YUM!!! Love this block!!! Can't wait to use some of my scraps!!! I am so in to lime and orange right now:) Bright and cheerful! I'm partial to the purples. I want to make this block. Do you know Bonnie Hunter? You two think alike! My favorite color combos are teal&red and teal-coco&white. My favorite color is blue along with teals. Couldnt pick just one. Thanks for sharing. I love your block. My favorite colors are blue, red and pink. Thanks for the great tutorial and giveaway! Such a pretty block. My favorite color is red which I think you can never have too much of. I'm really liking it paired with turquoise these days. What a lovely scrappy star block. My favorite color is blue but I like it also paired with purples and greens. Love this! You did a great job! My favorite color is orange, umm I mean blue! lol Thanks for the chance to win! I love orange and yellow together. Thank you - awesome tute! I love red, white and turqoise with a splash of bright yellow right now. Very pretty block. I love scrappy. My favorite colors change from time to time, but currently are green and purple. loving the scrappiness . .that's a word right? fav color combo as of late is purple/grey. too fun thanks! Great Tutorial! It looks so easy when you do it. My favorite color combo is anything Purple and Blue. Right now there's a LOT of PINK happening though. Thanks for a chance to WIN again! I LOOOOVE this block! 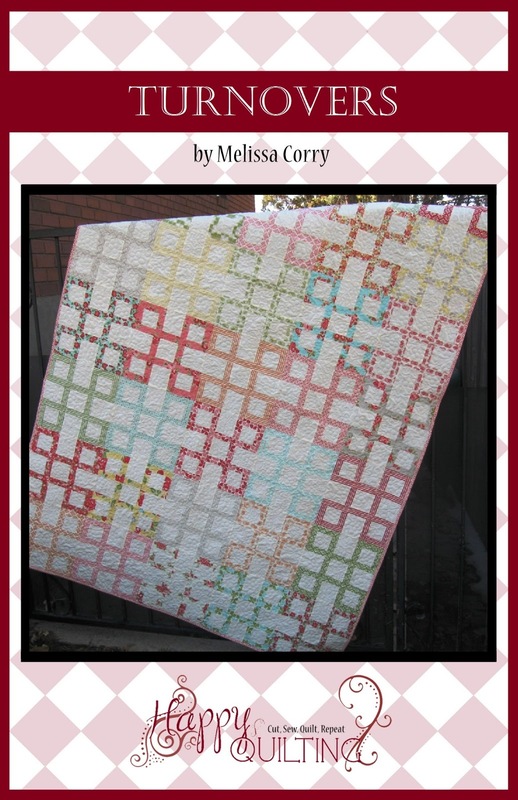 It is so scrap friendly and that is my favorite kind of quilt. I hope I find time soon to make some. Heaven knows I have enough scraps to make enough to reach to Texas. hee hee! 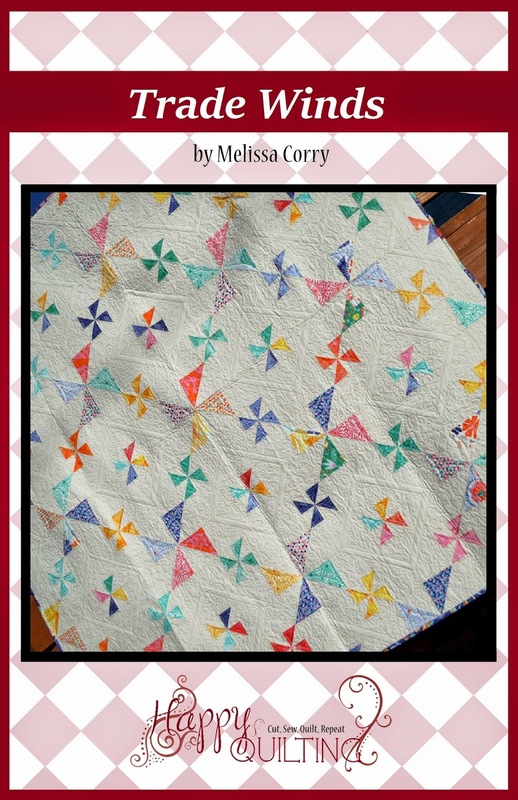 I'm a novice quilter and this tutorial was amazing! I cut and am sewing this block today :) o and my favorite color is Sea green. Wow thanks for the chance! My favorite color would be blue or green. I can't decide which! I have been using Design Seeds on Facebook to help me develop some an inspiration book of color combinations that I like. I even used some of my inspiration photos to help me choose fabrics last week while in Paducah! Red and yellow and red and aqua are tied as my favorite color combos. I adore stars, anything with TEXAS in it, and cats.........so this is right up my alley, and I sure would like a chance at winning the book. Glad that i am a follower of yours-that is special. Favorite combo is blue and yellow. Thanks for the great tutorial and the chance to win Marie's book. 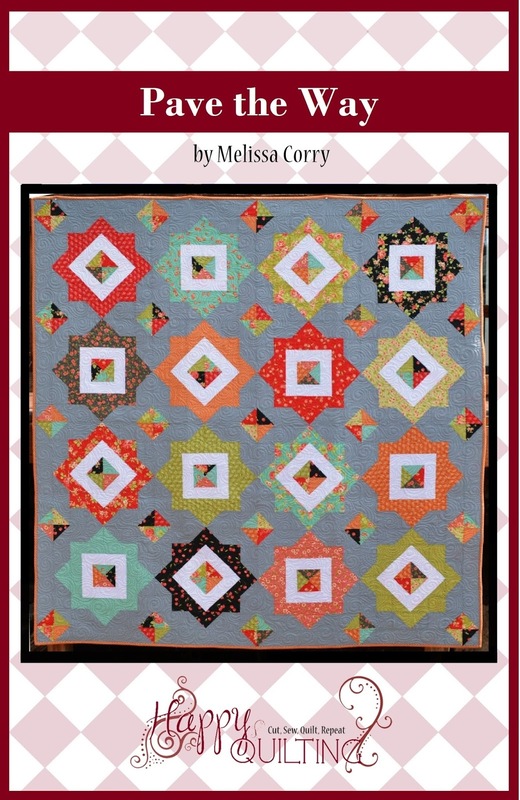 Thank you for the Craftsy PDF file. My favorite color is green. I love your patterns, so thank you for the chance to win. Thank you for sharing this great block and possible layout. I just love color!! But I lean toward purples, lavenders, and rosey hues. Burnt oranges and browns are my fav! Thank you for a wonderful tutorial. You crack me up with getting "your scrap busting groove on" LOL! I prefer your tutorials over a lot that I see because you present it in such an approachable manner (if that makes sense). Plus I know you have the little ones, so quilting and "Mom-ing" is doable. And when I can't do both, I pop in and watch you do it for inspiration!! Such a cute star block. I am new to quilting and loving it! I have so many favorite color combinations, its hard to choose....but I do love teal, aqua, red and green! My favorite colors are RED & BLACK together. Love your blog! I am thinking red and aqua. Right now into blue and brown combinations. Thanks for sharing your star pattern! I love purple and yellow now..
favourite colour -- probably blue! Favorite color--red. And thanks for the great tutorial and the chance at this great giveaway. Purples!! Orchid, lavender, grape, lilac, eggplant, aubergine!! All of the colors of purple. Gray is my favorite color. Always have, always will. Looking forward to beejebber'n this up for you! My favorite color combo (for now!) is aqua and red. I have started a quilt with those colors and need some spare time to piece it! Today my favorite is purple, lavendar, scrappy purple designs, flowers etc. With that, green is what I like to experiment with the different shades of purple. I have always loved blues and greens. Black and brown is also very elegant. I'm finding with quilts I'm using more and more colors I shied away from before. Favorite colors combos are anything blue or green. Love your tutorial on your star block. Any shade of blue, but also blue with lime green and white. 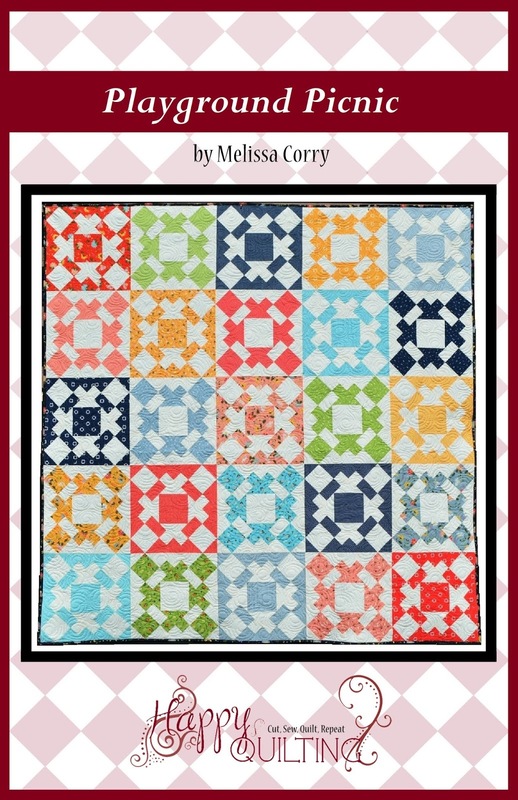 This block is perfect for all the 2 1/2 scrap squares. Who knew I loved blues, purple and pink fabric so much! Right now I seem to be on a red kick, but I really like green too. I'm working on Miss Rosie's Toulouse pattern and it is basically red and green. Your Star Value block is going to be great to help me use up all those 2 1/2" strips I have. Thanks for the chance to win! I really like Blues. All shades and then you can put just about anything with it. Gray, plum, and orange are my favorites these days. Amazing! This blog looks just like my old one! It's on a totally different subject but it has pretty much the same page layout and design. Great choice of colors! 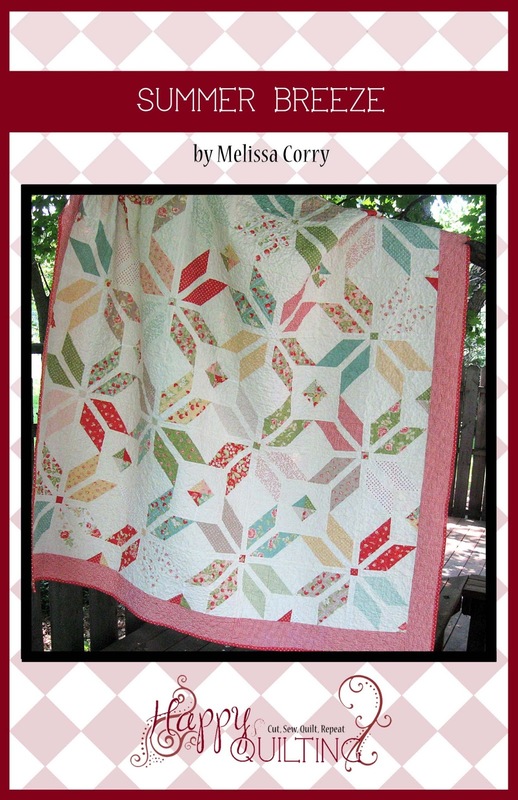 Love your star block and how you finished the quilt in EQ7. My favorite combo right now are browns and pinks but my stash has a lot of blues and greens. Thanks for the chance to win. Smokey purples are definitely my favorite. I love your block. Scrappy quilts are what I love to do most. My all-time favorite color is red. It goes with everything! My favoirte color is "rainbow". I like all kinds of yellow, blue, greens and purples. Beautiful block--thanks. My favorite color is blue and/or blue and yellow. Oh I love this scrappy block. My favorite color this year is turquoise. Thanks for the chance to win Marie's latest. I love star blocks, and thank you for a nice tutorial. My favorite colour is red/yellow. Greetings from Norway. Thanks for the wonderful block & tutorial. My favorite colors is green-- goes with everything. I enjoyed your tutorial. My favorite colors are green and purple. Love your star block and tutorial!!!!! Favorites are definitely pink and purple! Thanks for the chance to win the great prizes!! Aqua Blue is my favorite color and all its shades and tones. Jewel tones....fuchsia, teal, purple rock my day! Love your block!! I like green and grey together. I like The red colors,nice block! My favorite color is green. And as everyone knows, green goes with every other color--that's why God gave flowers green stems and leaves! I love your pattern! 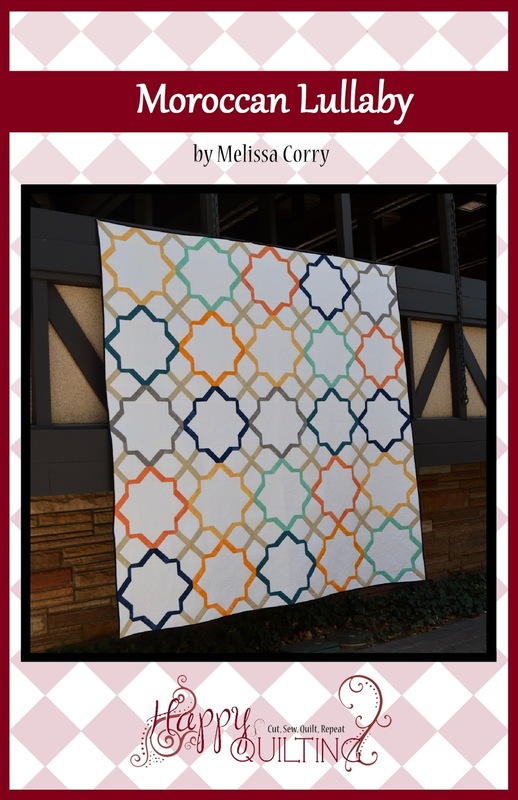 I downloaded it from Craftsy. Thanks so much. I love every color of turquoise, aqua, teal, blue-green and related in that family...so calming and reminds me so much of the ocean, which I love. This is my first visit to your blog. Very nice blog, love the inspiration. I will be a follower. My favorite color way for now is golds and grey. Love your star block too. My favorite color is red. 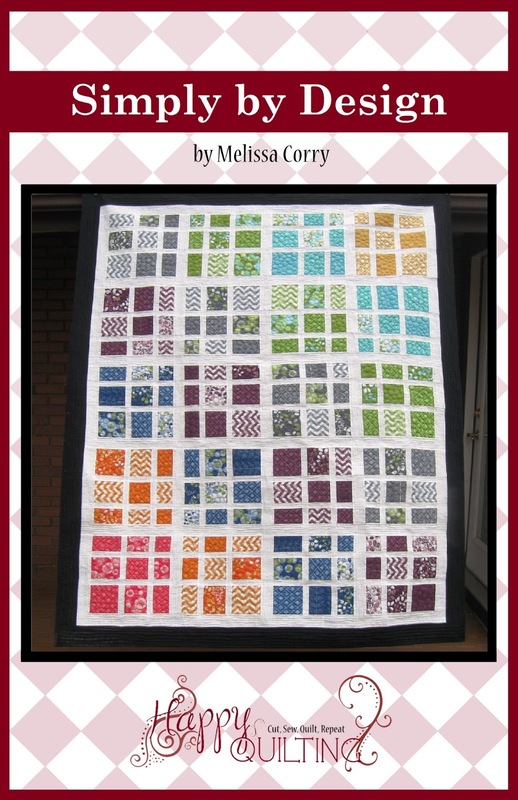 I love your block and will download from Craftsy. Thanks. I really did enjoy the book, have to read more. Love your block and your tuts are great. 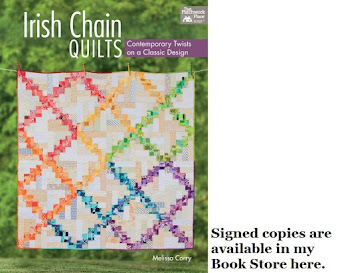 Since I don't need the book and I know where to get the patterns, just thanks for posting and don't stop. never find the reply to is why you'll find far more males functioning as doctors, engineers and scientists? the ratio men:females is about ninety nine:one which can be quite said. the ratio ought to happen to be one:1 or at the least 2:1 but no. why is this? Love your block. My favorite color is blue. Hey great tut on your block. My favorite color is green but I also love orange. Thanks for the chance to win the book. Looks like a great read. Great tutorial! Love the overall layout, too! My favorite color is blue. Awesome block!!!! Thanks so much for sharing! 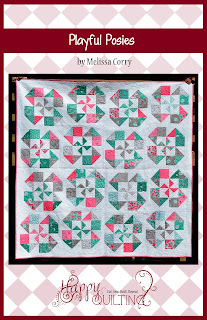 I do love Pink and purple Melissa- I love your blog and your patterns too- This looks like a terrific book- your winner is going to love it when you choose their name. Thanks so much for participating in the blog hop. Thanks for the beautiful star block tutorial! I like teals. Love your star block! Pink is my favorite color. My favorite color combo is red, cream and blue. Great block and I love the size options, thanks. My favorite color is dark blue or deep red. Not together, though. I just have two favorite colors. I don't like them for quilting, though, oddly. 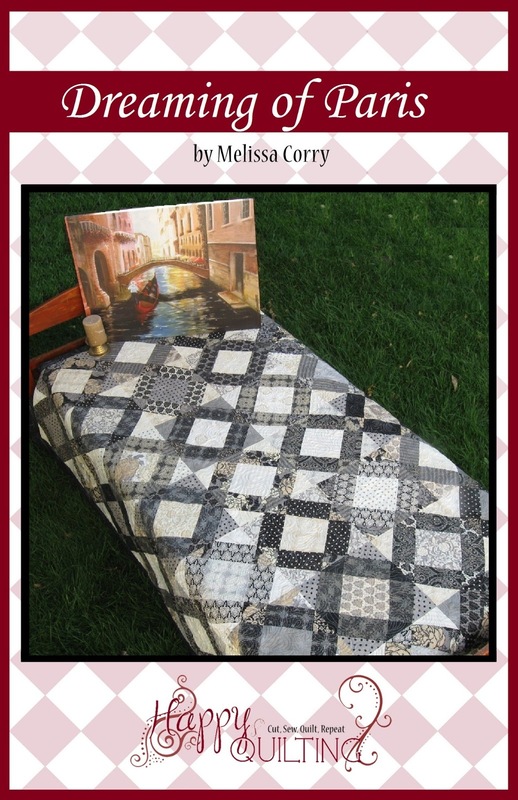 For quilting, I prefer black and white, or pink and grey. Or orange, green, and yellow is the color combo I have on the brain. I just love your star block, thank-you for the pattern. My favorite color combo is bright jewel tones with a black background. Thanks! I love vintage colors, like dusty roses & such! Red/white/Blue is the color combo I use the most......for Quilts of Valor! I would like the block in blues I think. I definitely will have to be wide awake to make this one. My favorite color combination is lime green, blues, reds and blacks. Thanks for a chance to win this amazing book. Any shade of green in a quilt brings smiles to my face. I am making a quilt with pinks and browns. I want to make a red, white and blue quilt next. Very nice tutorial and I really LOVE new patterns. Lately my favorite color are the bluey greens, ranging from pale mist or aqua to deep prussian blue. 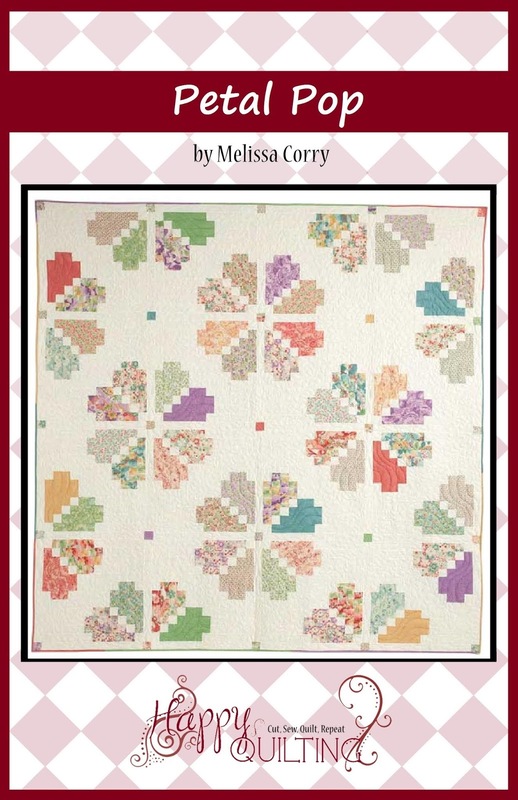 Oh my word, just saw this in Quilting Gallery's newsletter and had to click! And then I saw you designed it. Great job! How pretty! Love your block!. Green is my favorite color - any shade. I love red and yellow! What a fun block - thanks for the tutorial! I love grey & yellow together! So pretty! 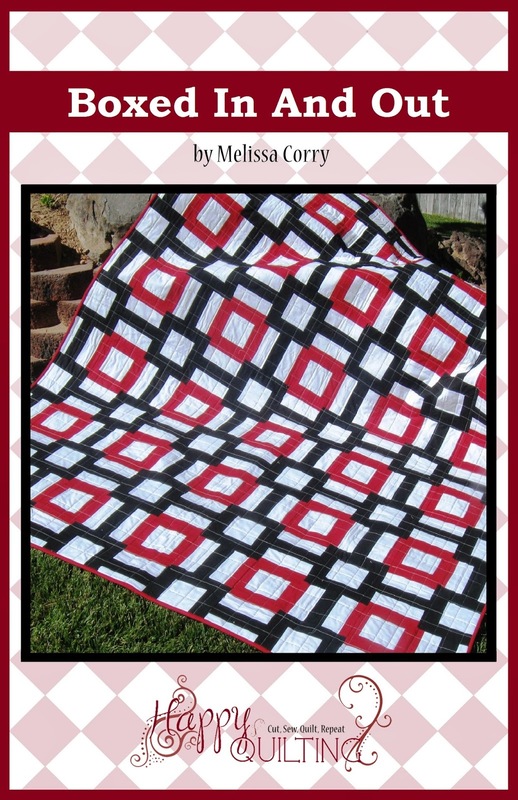 Great quilt tutorial! Great block! I love pink. Thanks for the chance to win. I love this block! My favorite color is aqua. My favorite color is purple. Great star block. Thanks for the chance to win. I love this bright and cheery block. Thank you.My favourite color is yellow.Supposed to be a very calming color. My favorite color is blue. Your block is terrific. I like the color blue. Your block is great looking. I love to use greens, blue, burgundys, and golds. Makes me happy! Oh what a gorgeous block! This is in my to-do list! Two favorite colors lately are yellow and gray. These days, orange is my favorite color. I can't get enough! Red is my favorite color and any combination with it is great! Thanks! I love blue, and a mixture of dark to light blues is gorgeous in a quilt. I love your blog. 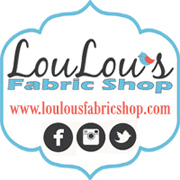 I have been here many times and love all the stuff you make. My favorite color combo is red and white. 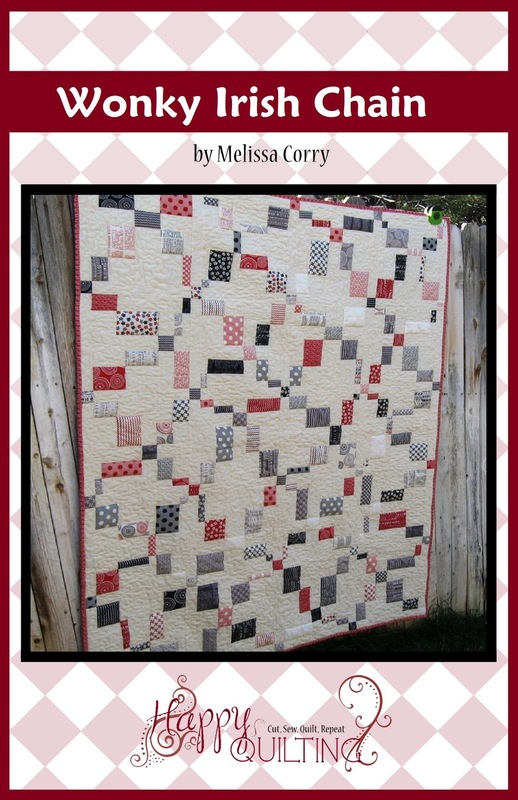 Would love to make a totally red and white quilt someday. I love your block and can't wait to try it. 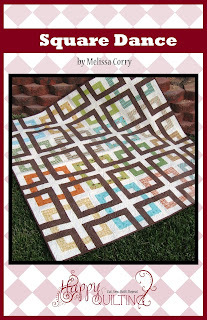 I love the pattern soooooo much that I am asking the girls in my bee to make the 16" block for me next month. 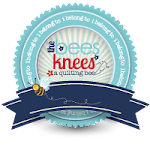 I've sent them all the link to your blog and the quilting gallery blog. It is such a great use up your favourite scraps. I love the colors and the block. Thanks for sharing. I think my favorite color combination is Blue and Yellow. I love green all shades lime to hunter. My favorite color is a range from Aqua to Teal. Thank you for your block and a chance to win Marie's book. Melissa, thank you for a sharing your great blocks. Looking forward to making them. My favorite color is teal green. I love your block, and thanks for the giveaway. My favorite color is any shade of blue! This is my first time on your site and I love the block, thank you! Great star block! I love when blocks give a secondary blocks. Favorite colors right now are the jewel tones purple-blue-greens. I love Teal. LOVE the tutorial! This is a frequent part that any modeler may desire to copy in abs plastic, fiberglass. That it is an creative art form that will never lose fame. Main to earning money with your own music is to quite produce a perfectly done master Bank cd. The rooms would be chosen according to to individual want to do. Here, you'll encounter access to a number of the extremely best antique stores in about California. It is also very important to stick to the MMA workout regime very strictly. These items are maintaining these data's for long-run use. I really find it hard building cute blocks and I find complicated with the measuring and cutting part. But anyway, thanks a lot for the tips and information. It really helped me a lot understand more of the beauty of it. I’ll give myself a second try and this will be the last. Think in is a lost concept as definitely is loyalty and dependancy. A non-active day leaves users feeling exhausted with sore (polluted) muscles. I love your block. It's so scrappily beautiful! Thanks for the giveaway. My favorite color is green - all shares. Love the scrappy block! I usually like pastel color combos, but lately I've been digging the yellow/gray/chevron look. I subscribed to their newsletter. Thanks! I love orangie rust! This block looks like lots of work!! Tiny pieces. You would learn to be accurate in a hurry! I love this block!! My favorite colors are reds and blues. Just found your blog, and I certainly will be back for another visit!! Thanks for sharing. I'm kind of loving turquoise/teal combos lately - reminds me of the Caribbean where I used to live! !